Members of Congress spent a nice little chunk of Wednesday afternoon tearing into Mylan CEO Heather Bresch, who appeared before the House Committee on Government Oversight and Reform to explain why her company hiked the price of EpiPens some 500 percent over the past 12 years. Like most hearings on Capitol Hill, this one was heavy on righteous indignation and repetitive questioning, but in the end it brought at least one interesting new fact to light. Mylan claims that for each $608 pack of EpiPens it sells, the company only earns a $100 profit, or $50 per autoinejector. The rest gets eaten up by product costs and middlemen. Bresch even came armed with a handy chart illustrating the point. Bresch also said the company’s profit hasn’t increased all that much in recent years, at least compared with the rise of the device’s list price. In 2014, when a two-pack sold for $401, she said Mylan earned roughly $80 profit per pack. In other words, her company has raised the list price of a pack about $207, or 50 percent, in two years, while increasing its profits about $20, or 25 percent. Bresch said it will earn a smaller profit on the new, half-price generic version of the EpiPen it’s releasing, but didn’t specify how much less it would be. So, what to make of all this? Mylan has tried to pin blame for its price increases on our byzantine drug-distribution-chain, which is full of middlemen like pharmacy benefit managers that require discounts and rebates and end up taking a cut of that final list price. These arrangements generally lack transparency, but it’s true: The roundabout path drugs take from manufacturer to patient in this country adds to their cost. But here’s another way to think about Bresch’s comments today. 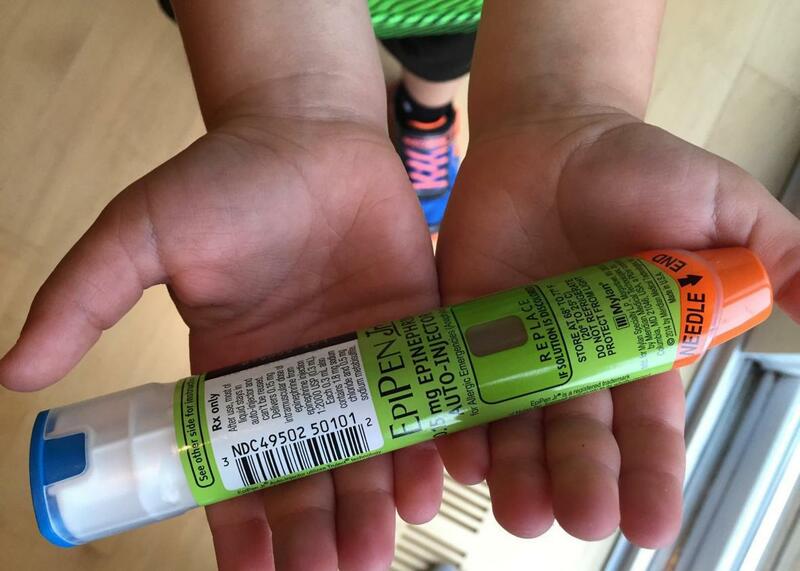 Mylan was apparently willing to hike the list price the EpiPen by hundreds of dollars if that’s what it took to wring out a relatively small additional profit. And make no mistake, its margins are quite healthy. The company claims that it receives $274 in revenue from each pack sold, meaning it’s taking home a 36 percent profit (Bresch held up a graph showing that in 2014, each two pack yielded $235 in revenue, so its margins would have been about 34 percent). It’s not like they’re trying to move these things at cost and the evil middle-men are the only players gouging consumers. So I’d say that insofar as Bresch is trying to morally absolve her company in the eyes of the public, she didn’t exactly do a bang-up job.